There is nothing like an overflowing TSA security line to take any remaining joy out of air t﻿r﻿avel. And, for international travel, the lines for customs just to get back into your own country can be an absolute hassle. You’ve probably heard about TSA PreCheck and Global Entry, but maybe you never bothered to look into them because it costs time and money to apply – as if you weren’t wasting enough time going through airport security. Yes, it takes a little time and effort to apply for these expedited programs, and they do come with fees. But if you have the right credit card, it doesn’t have to cost you a dime. You are no doubt familiar with TSA security checks – the long lines, taking off shoes and belts, unpacking your laptop and liquids, and the periodic pat downs. When you have PreCheck status, you can skip all of that. The PreCheck security line is usually very short or non-existent. You can literally be at your gate within five minutes of arriving at the airport. How sweet is that? The TSA PreCheck is a federal government-sponsored trusted traveler program designed to identify low-risk travelers so they can pass more quickly through the TSA security apparatus. Travelers who pass a background check are issued a “Known Traveler Number” (KTN) which can be added to an airline reservation. Having a KTN doesn’t guarantee your airline ticket will be issued with PreCheck status, but it increases your chances substantially. You can be issued a PreCheck boarding pass without having a KTN as the airlines are allowed to issue a certain number of them. However, the airlines have been asked to cut back on the practice. So, having a KTN will soon be the only way to obtain PreCheck status. The TSA PreCheck application costs $85 and the status is extended for five years, at which point you need to reapply and pay another fee. You can apply online and schedule an appointment for an interview at an application center. You will need a passport or government-issued ID and a birth certificate. The application takes about two to three weeks to process. A Global Entry pass includes the same benefits of TSA PreCheck for domestic travel along with expedited processing through customs for international travel. Instead of having to wait in line to be confronted by an agent, you can use one of the blue machines to enter your information and then be on your way. The Global Entry application costs $100 (if you’re going to pay $85 for TSA PreCheck, you can just pay $15 more to add Global Entry). You can apply online, but once your application is accepted, you will need to schedule an interview at a Global Entry enrollment center. The background check includes a check of your criminal and driving record. At the interview you will present your ID, be fingerprinted, and submit to an interview. If all goes well, you will be approved on the spot for a five-year pass. While there is no getting around the time involved in the application and interview process for these expedited programs, you can avoid the costs if you have one of several credit cards that offer reimbursement for the application fees. These are among the top credit cards offering reimbursement along with some major travel benefits and perks. 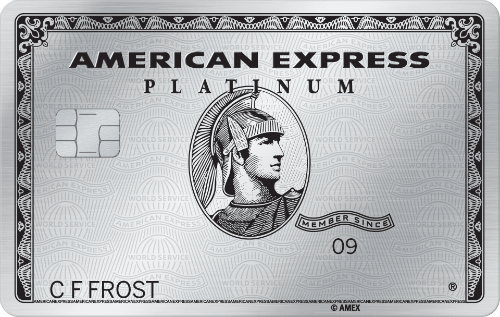 The Amex Pl﻿atinum c﻿﻿﻿a﻿﻿rd is one of the ultimate travel credit cards to have if you are a frequent traveler. In addition to reimbursing your PreCheck or Global Entry fees, you also receive a $200 annual air travel credit and $250 in Uber credits annually. Cardholders also have free access to the Delta Sky Club, Priority Pass, and The Centurion Network lounges. With all of that, plus 5x points on airfare and hotel stays, it is a tremendous value, even at $550 for the annual fee. The Global Entry/TSA PreCheck fee waiver is also available for authorized users of the card (three authorized users can be added for an additional $175 annual fee). 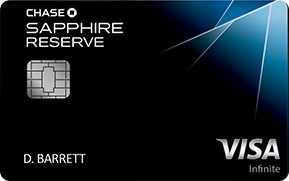 The Chase Sapphire Reserve card is a premier travel rewards card that offers 3x points on travel and dining categories. You also receive an annual $300 travel credit and Priority Pass Select lounge access. When you add in the Global Entry/TSA PreCheck fee waiver, the $450 annual fee seems like a bargain. If you like collecting free hotel nights, the Citi Prestige is the travel rewards card for you. In addition to earning one free night for booking three, you receive a $250 annual air travel credit. 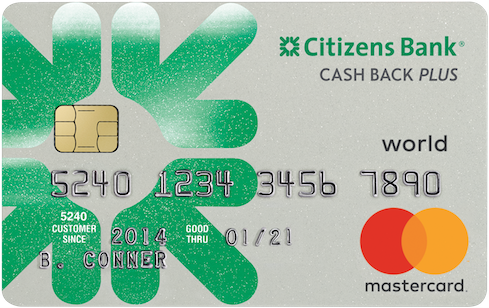 The card awards 3x points on airfare and hotels, 2x points on dining and entertainment, and one point on all other purchases. Citi Prestige recently eliminated free Priority Pass lounge access as a perk which slightly deflates the card’s value relative to its $450 annual fee. 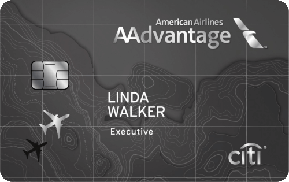 This American Airlines Citi card offers a free Admirals Club membership, which means you have free access to the Admirals Club regardless of which airline you fly. That’s a $550 value, which more than pays for the $450 annual fee. You can add additional cards (with Admirals Club access) at no additional cost. 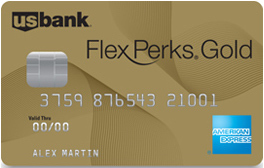 The US Bank Flexperks Gold American Express card can be a terrific rewards earner, awarding 3x points for dining and 2x points for gas stations. In addition to reimbursing your Global Entry/TSA PreCheck fees, the card will also reimburse up to $25 in airline fees per trip for such things as baggage fees or in-flight food and beverage. When all is said and done, the $85 annual fee is a good bargain.